Just as Manchester United fans were sensing a bit of optimism in what has been an otherwise worrisome season, along came the weekend’s Manchester Derby. A result that did not go their way, and a city that was left painted nothing but Blue, as Pep Guardiola’s men proved to be too good for United. The hosts ran out 3-1 winners, and took the gap to 12 points between them and their neighbours. This loss came as a blow to the Red Devils, who had recently shown a good run of form by producing comeback wins, including a sensational one away at Juventus in the Champions League. The fact that Paul Pogba was out injured did not help Jose Mourinho’s cause, but the final scoreline was still enough to welcome a whole new bunch of criticism. While many blamed the manager for the loss and pointed towards the exit doors yet again, a former Manchester United defender had a different opinion. 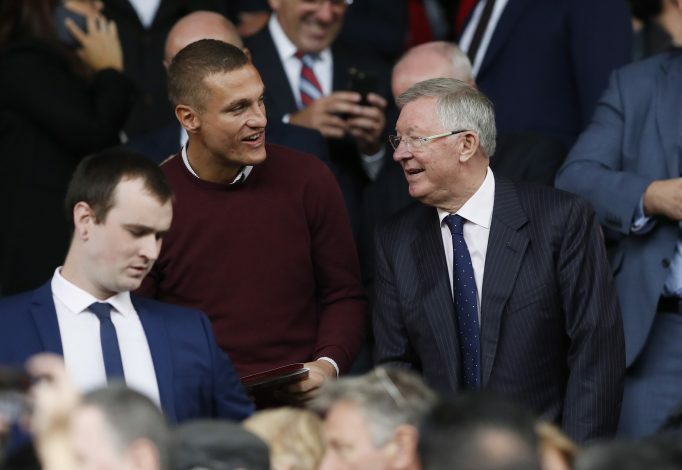 While doing punditry for BeIN Sports, Nemanja Vidic was evidently disappointed by the side’s result, but he refused to put Mourinho under the bus for the same. He then went on to defend the Portuguese, by saying, “He is the manager, he has won a lot of trophies. It’s not the Manchester we are used to watching, it’s Mourinho’s Manchester, and when he came to Manchester you have to accept that he is the manager who is going to play this kind of football.